The Arizona National Scenic Trail is one of the eleven National Scenic Trails. This trail goes from Mexico to Utah, traversing the whole north-south length of Arizona. 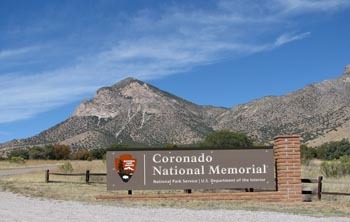 The trail begins at the Coronado National Memorial near the US-Mexico border and moves north through parts of the Huachuca, Santa Rita, and Rincon Mountains; then through the Santa Catalina north of Tucson and the Mazatzal Mountains before ascending to the higher elevations of Northern Arizona and the San Francisco Peaks, and then continuing on across the Coconino Plateau to the Grand Canyon. 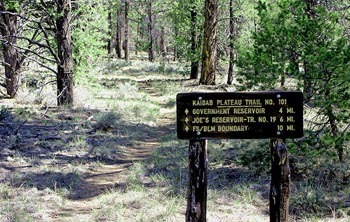 It terminates near the Arizona-Utah border in the Kaibab Plateau region. The Arizona Trail is about 96% complete, and is planned to be about 817 miles (1,307 km) long when completed. It is designed as a primitive trail for hiking, equestrians, mountain biking, and even cross country skiing. It showcases the wide variety of mountain ranges and ecosystems of Arizona. On May 1st, Nimblewill Nomad again shouldered his pack and returned to the trail. 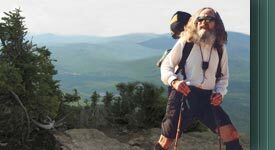 His trek this year will encompass two National Scenic Trails, the Arizona and the Pacific Northwest. As the miles go, the distance for both will actually total less than half that hiked during Odyssey 2009, so the pace should be a bit less hectic. Plans are to allow a couple of months for each. For the Arizona—May and June; for the Pacific Northwest—mid July through mid September. Since these trails ply not only desert, but also mountainous terrain, with remote wilderness areas, spectacular scenery, lots of climbing, this journey should present many challenges. Just as during past odysseys, Nomad will be posting journal entries. Additionally, there should be lots of great photo and video ops along the way. He’ll also have scheduled mail drops. He’d love hearing from you. Please check the itinerary page for towns and tentative dates. So, why not plan on coming along. Check back often; we’ll have a grand time! And as always, please keep the old fellow in your prayers. The features of the Arizona Trail are diverse including historic sites, natural features and geologic wonders, quaint communities, and large remote wilderness areas. Prehistoric and historic sites dot the entire trail. These sites include the mining history at Kentucky Camp, the cliff dwellings at Tonto and Walnut Canyon National Monuments, the historic Roosevelt Dam, 1900 tourism era structures and trails of Grand Canyon National Park, the former railroad town of Patagonia, and the former logging railroads near Mormon Lake. Journey with the Nimblewill Nomad and let the adventure unfold!